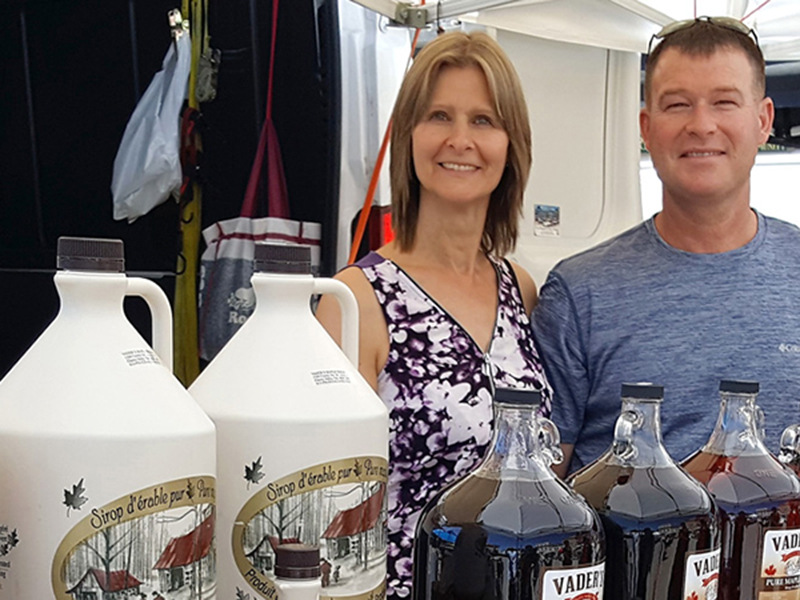 Since 2012 Todd and Susan Vader have been selling their maple syrup and value added maple products at Springer Market Square. The beautiful, bustling downtown market location offers a great opportunity to sell their maple products and share their passion for everything maple with locals and tourists from all over the world. 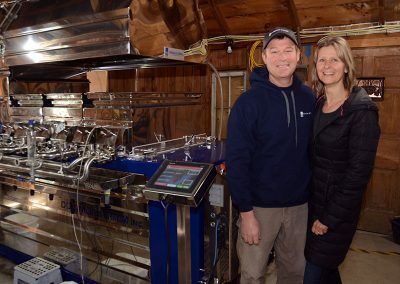 The Vader’s maple history began in 1910 when Todd’s great-grandfather Amos Vader moved his large family from Coe Hill near Bancroft to the existing farm near Cherry Valley in Prince Edward County. The farm had an impressive woods with an abundance of maple trees. Amos and his family began tapping 400 trees and boiling the sap in the sap house that was on the property. 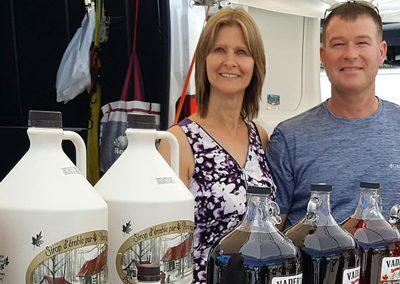 Now over 100 years later with 40 years experience producing maple syrup and the valuable knowledge gained from his father and grandfather, Todd with his wife Susan run and operate the 3000 tap production. 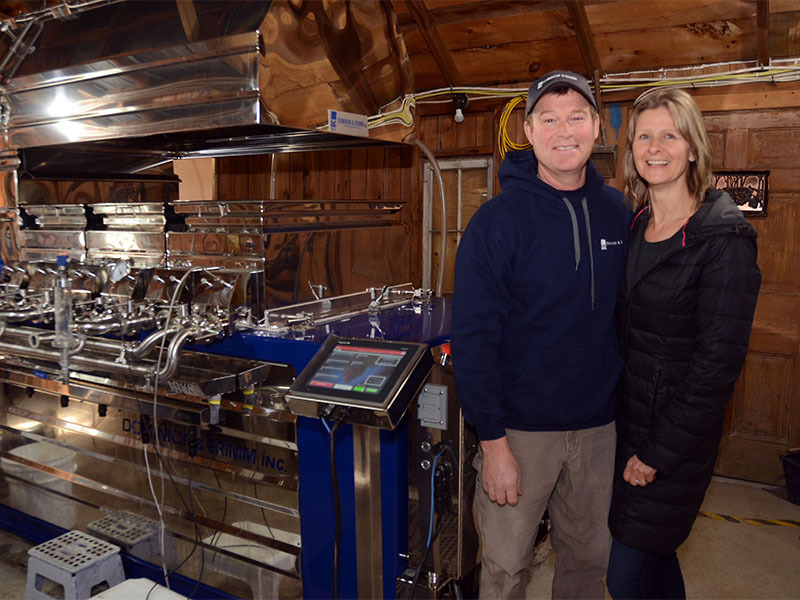 In all aspects of maple production from maintaining a healthy, sustainable sugar bush to using high-efficiency equipment the Vader’s take pride in producing a premium quality product for the consumer. Vader’s Maple Syrup also guarantee that their maple syrup is 100% a product of their maple trees. 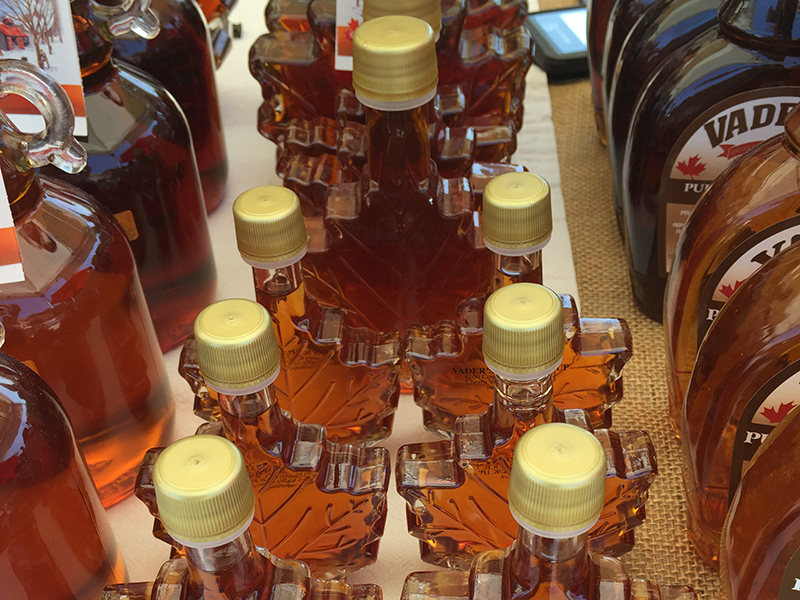 The soil, climate and production practices of their sugar bush allows for the distinctive flavour of the maple syrup. 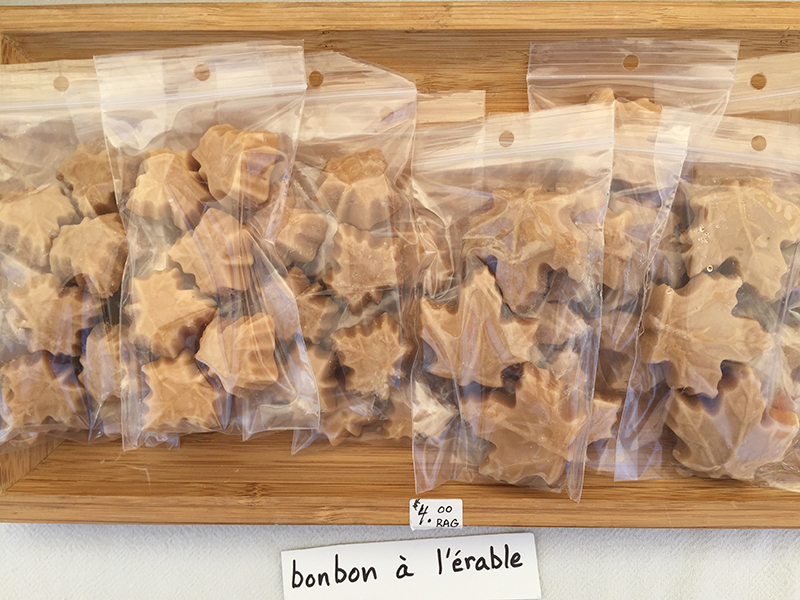 As well as all grades of Maple Syrup – Golden, Amber, Dark, and Very Dark, handcrafted maple butter, granulated maple sugar, maple jelly, maple blocks are available at the market stand. Also available is our popular Whiskey Barrel Aged Maple Syrup. Stop by to try a sample! 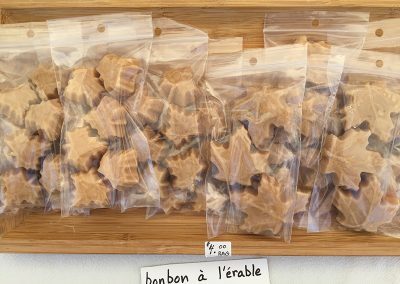 Handcrafted pure maple products such as maple butter, maple leaf candies, stirred granulated maple sugar, maple syrup and taffy.